← New SHARP PhD Assistantship Available! 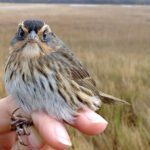 Postdoc Jen Walsh and SHARP collaborators (Adrienne Kovach, Chris Elphick, Gregory Shriver, and Brian Olsen) recently published a paper in Molecular Ecology investigating the genetic structure of the Saltmarsh-Nelson’s sparrow subspecies complex. This study used a reduced representation sequencing approach (~2000 genetic markers) to take a first look at genetic variation among the two subspecies of Saltmarsh Sparrow and three subspecies of the Nelson’s Sparrow. Results of this work found that morphological differences between subspecies were subtle, with individuals sorting along a continuous phenotypic gradient. 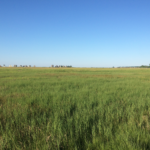 In contrast, the genetic data identified three distinct clusters corresponding to populations that inhabit coastal salt marsh, interior freshwater marsh, and coastal brackish water marsh habitats. These patterns support the current species-level designations but do not match the subspecies-level taxonomy within Saltmarsh and Nelson’s sparrows – a finding that may have relevant conservation implications. One key conclusion of this work is the evidence for adaptive variation among subspecies, which may warrant the consideration of evolutionary potential and genetic novelty when identifying conservation units for this group. 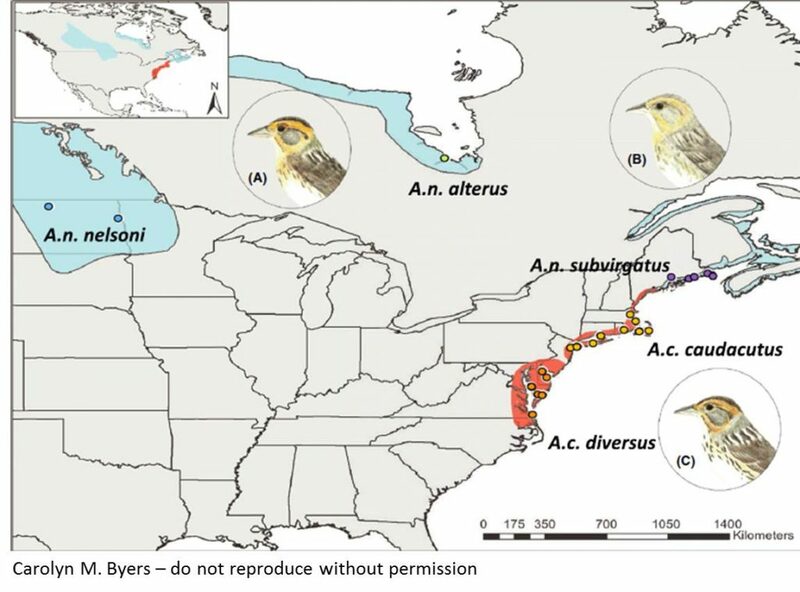 A map from Walsh’s paper shows the distribution of subspecies within Saltmarsh and Nelson’s Sparrows that is supported by molecular data. This recent paper also features beautiful illustrations of Saltmarsh and Nelson’s sparrows by Carolyn M. Byers. Carolyn was a graduate of the University of New Hampshire, where she conducted undergraduate research on Saltmarsh and Nelson’s sparrows in the lab of Dr. Adrienne Kovach. She has also completed a Master’s degree in wildlife ecology from the University of Wisconsin-Madison. She is currently the director of Education with Madison Audubon Society, bringing science to local youth and communities. Her illustrations represent a wonderful union between art and science and were instrumental in highlighting the subtle morphological differences between these species. This entry was posted in Paper Published, SHARP Blog. Bookmark the permalink.